Installation view, No Woman is an Island, 2017, BLINDSIDE, Melbourne. Photo: Nick James Archer. Risograph printed catalogue by Helio Press. Photo: Ashley Ronning. 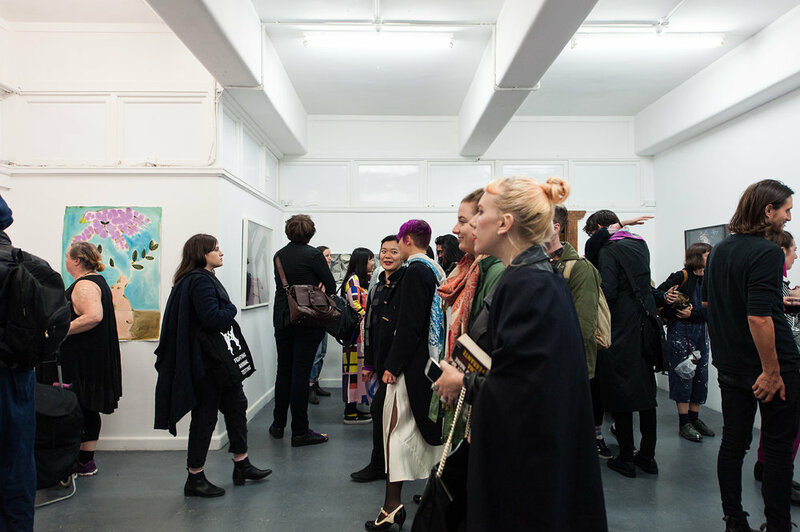 Artists: Carla Adams, Jessie Adams, Emily Besser, Clara Bradley, Frances Cannon, Jessica Cochrane, Zoë Croggon, Anna Farago, Kate Just, Anthea Kemp, Stephanie Leigh, Kim Leutwyler and Zoe Wong. 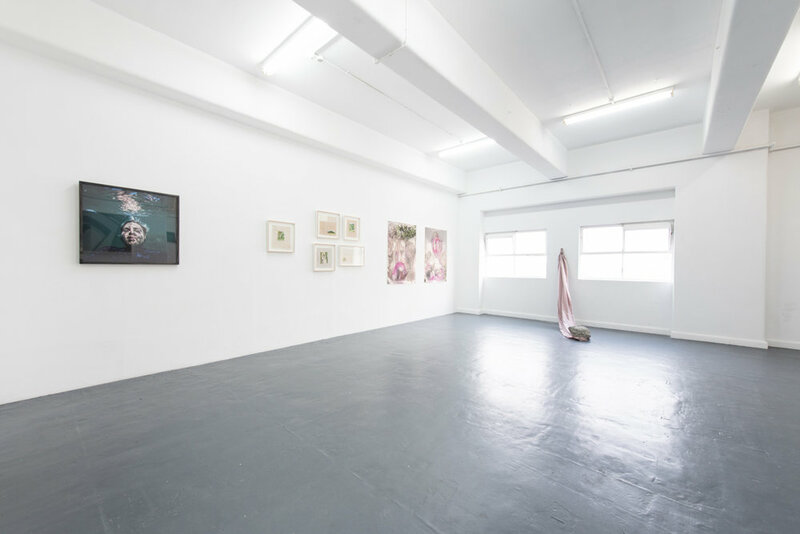 No Woman is an Island was an ambitious group exhibition of thirteen Australian artists that focuses on female experience and perspectives through the conceptual framework of the ‘female gaze’. Through the eyes of multi-generational women artists, the exhibition explored the shift in perception that comes with different ages and phases of life. The artists in the exhibition engaged diverse practices to touch on an array of relationships to womanhood, while also exploring the theme of woman as Object vs Subject – thereby challenging, complicating, and confronting the traditional notion of the male gaze in Western art and history. This focus on subjectivity and the individual experience challenged static notions of identity and feminism. A limited edition risograph printed catalogue designed by Helio Press was available at the exhibition launch, with an essay by Kathleen Linn. MONOGRAPH x BLINDSIDE: Feminist reading circle. Saturday 13 May, 2pm at BLINDSIDE. MONOGRAPH, the reading circle for art lovers, hosted a special feminist reading group as part of the exhibition No Woman is an Island. Participants were asked to bring along a recent book or text that they had read that has inspired them, with particular reference to feminist text and authors. Discussion and criticism was encouraged. As part of No Woman is an Island, exhibition curator Sophia Cai led a discussion with artists Clara Bradley, Anna Farago, Kate Just and Stephanie Leigh about their artistic practices as it relates to female experience.